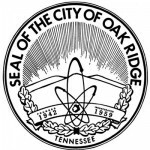 Oak Ridge City Council members on Tuesday suggested next steps for Main Street Oak Ridge. The discussion occurred about a week after Council rejected a revised plan for the second phase of the project in a 4-3 vote, creating uncertainty about what will happen next. The Tuesday evening discussion was meant to help guide Oak Ridge City Manager Mark Watson in his conversations with RealtyLink, the developer. The three Council members who voted for the revised plan continued to stress the potential benefits of welcoming four new national retailers to Oak Ridge, pointed out that RealtyLink has spent tens of millions of dollars here, and emphasized the importance of the potential sales tax revenues. They said those revenues will be crucial to help pay off such debts as the renovation of Oak Ridge High School. That debt is expected to spike in 2022 and 2023, about the same time as the city will permanently lose its revenues from the state’s Hall income tax, Oak Ridge Mayor Warren Gooch said. Gooch issued a dire warning about the possibility of city inaction bringing the project to a standstill on Tuesday. The Council members who have raised concerns and voted against the revised plan on Monday, January 14, have stressed the importance of making sure that the city and developer pursue the best development option. They have said they want to ensure the project’s long-term success. Any updates to the revised plan would have to go back to the Oak Ridge Municipal Planning Commission, Watson said. That’s where concerns about the revised plan were first raised publicly. Any revised plan considered by the Planning Commission could receive a recommendation of approval or denial before it is considered by City Council. Watson asked Council for specific suggestions that he could use in his conversations with RealtyLink. The revised plan was unanimously approved by Council on first reading in December and rejected in a 4-3 vote on second and final reading this month. Among the proposed changes were closing the Rutgers Avenue entrance to the roundabout at Main Street to allow four new stores to be built between PetSmart and JCPenney, eliminating the proposed multi-family residential units in the area between JCPenney and Walmart, and moving the proposed mixed-use areas to a future development phase along Wilson Street. The revised plan would have included potential small retail shops and a possible restaurant near Belk and Cinemark Tinseltown, two small open space areas near the American Museum of Science and Energy and Belk and Cinemark Tinseltown, and future retail or commercial development areas along Rutgers Avenue. On Tuesday, Watson said any direction that City Council can provide about what should happen next would be helpful and should be submitted. Oak Ridge Mayor Pro Tem Rick Chinn said he agreed with the revised plan and voted for it, and he wanted to hear from the majority who voted against it. Oak Ridge City Council member Ellen Smith said she wanted to see in the next round, at a bare minimum, a plan that reflects what has already occurred at the 58-acre site, as opposed to the plan from the previous developer, Crosland Southeast. Her single biggest concern, Smith said, was the potential lack of a way to get into the center of Main Street Oak Ridge and see the center, rather than having stores with their backs facing Rutgers Avenue. The entrance from Rutgers Avenue to the roundabout at Main Street is important, Smith said. Mixed-use is important but not as important as the basic structure, Smith said. She said she would like a “real downtown” rather than a parking lot with a ring of stores around it, some of them with their backs to the community. She said the city absolutely needs to push for more retail in that area, but she wants to ensure it’s not built in a way that dooms it like the former mall, suggesting that there should be foot pathways and people shouldn’t have to drive from store to store. She pointed out other types of mixed-use businesses that the Planning Commission would like to see at the site, such as restaurants and drinking establishments. Like Smith, Hope said he wanted an updated plan rather the current plan, reflecting what has already been built. He wants a detailed landscape plan, not just proposed green space by Belk and the American Museum of Science and Energy. Hope said he wants a comprehensive layout of sidewalks, and he doesn’t think the city should compromise on walkability and connectivity. “If you continue to change that, that is a big stumbling block for me,” Hope said. He reiterated that there should be a main entrance to Main Street Oak Ridge. The Rutgers Avenue entrance is important, but he is willing to compromise, Hope said. He said Main Street could be the “true anchor” of what Oak Ridge wants as part of its City Blueprint, which is now under development. Hammond said he hadn’t had enough time, before the January 14 meeting, to research whether the revised plan was the best option. He is reluctant to vote on proposals that are “one shot, one chance” options, Hammond said. “I refuse to vote on something that is an only option,” he said. The Rutgers Avenue entrance is important to many people, and Hammond said he was not sure that closing it was the only option. Hammond said he didn’t think the revised plan rejected by Council was a terrible plan, but it was the only one he had seen. He would like to see revised renderings that reflect a vision for the site and a public forum where residents can learn about the project’s potential consequences on schools and housing. “A lot of this is people just don’t know,” Hammond said. When he voted “no” this month, Hammond said, he voted to seek other alternatives. He has suggested that those who voted “no” need to help develop an alternative plan. If he can’t, he can’t say “no” again, Hammond said. He wondered if those who opposed the project were prepared to lose the potential sales tax revenues, which have been estimated to be in the range of several hundred thousand dollars. If so, how would the city bridge that gap? Hammond asked. He wants the best option, but he also wants the sales tax revenues, Hammond said. Dodson said he has recently received thoughtful emails about bringing in new retail and the importance of sales tax revenues. But some emails dwelled on the Rutgers Avenue entrance, Dodson said. He emphasized the importance of ensuring that the site is walkable, and he would like RealtyLink to ask its tenants, who have a say in the project, for more mixed-use. He wants a “true heart” of the city, Dodson said. Dodson is the City Council representative on the Planning Commission, and he said that the Commission wants to work with RealtyLink. Gooch said RealtyLink has spent tens of millions of dollars in Oak Ridge, some of it personally guaranteed. Besides the U.S. Department of Energy, who else has spent that much? Gooch asked. He cited the city’s debt service from 2018 to 2043. One debt sticks out, Gooch said. That’s the $56 million owed for the renovation of Oak Ridge High School. In 2018, the City Of Oak Ridge owed $2.8 million for that debt, Gooch said. During the next 18 years, that amount goes up, he said; it is not level. And the debt spikes in 2022 and 2023, when the city will lose its Hall income tax revenues for good. Citing the recent growth in sales tax revenues, Gooch said they increased from $6.8 million in fiscal year 2017 in Anderson County, where the first phase of Main Street Oak Ridge has been built, to $7.8 million in fiscal year 2018. Revenues are up about $200,000 so far this year (fiscal year 2019), Gooch said. RealtyLink is providing something that the city doesn’t have, he said. And the development is not just for the roughly 30,000 people who live in Oak Ridge; it’s being built for the surrounding areas too, Gooch said. Those shoppers help service the city’s debt, he said. “Everybody for years has talked about we need more retail,” Gooch said. He has said the alternative to increasing sales tax revenues is relying more heavily upon property tax revenues. Gooch said he doesn’t want bureaucratic delays. “We’re dependent upon RealtyLink to go forward,” he said. Callison said he has received emails from people who wanted to know what happened when the Council voted to reject the revised plan proposed by RealtyLink. Those who have talked to City Council at its meetings have all had negative opinions about the project, Callison said, but he suggested there is an 80 percent silent majority. People “sort of agreed” about the four stores, but it’s not clear what the argument is about now and officials have become hung up on “little things,” Callison said. The next steps for Planning Commission and City Council weren’t immediately clear on Tuesday. At a minimum, it would seem that there would be one Planning Commission meeting required and two City Council meetings required, with one of those requiring at least 17 days for a public notice to be posted for a public hearing. Either the Planning Commission or City Council, or both, could call a special meeting when they think it is appropriate. No new meetings have been announced yet.